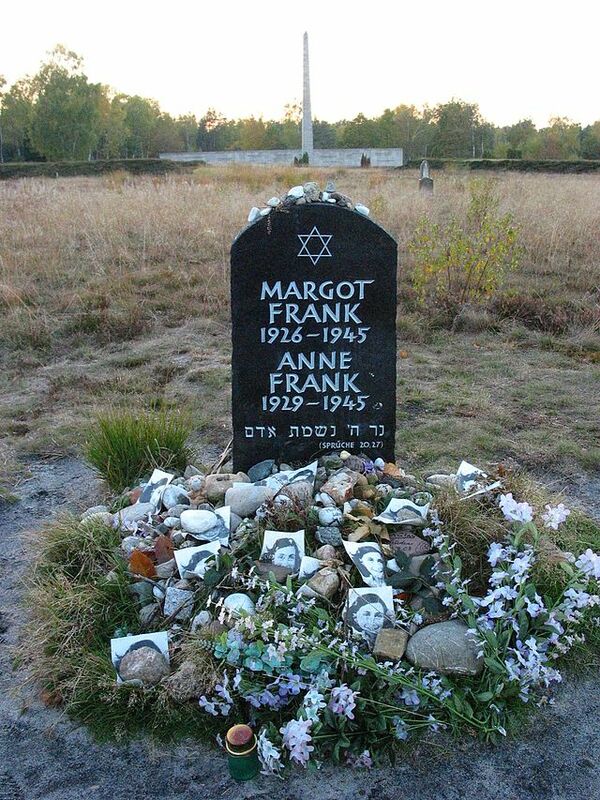 Anne Frank and her sister Margot died probably earlier than hitherto assumed. The Red Cross said in the 1950s that the date when the Jewish sisters died in the camp Bergen-Belsen from typhus should be between 1 and 31 March 1945. New research by the Anne Frank Foundation shows that they probably died a month earlier. The exact date when Anne and Margot died is not known. As stated in the statement of one of their fellow camp inmates: “One day they were just not there anymore”. Researchers looked therefore at archives of the Red Cross and testimonies of survivors of Bergen-Belsen. The girls arrived in November 1944 at the camp. The Anne Frank House in its research about the last months of Anne and Margot Frank concluded that it is unlikely that the girls were still alive in March. The sisters in early February 1945 had already, according to statements from inmates, symptoms of typhus. According to the National Institute for Public Health and Environment most people die about twelve days after the first symptoms. This entry was posted in Literature, Medicine, health, Peace and war, Racism and anti-racism and tagged Anne Frank, anti-Semitism, Germany by petrel41. Bookmark the permalink. Anne & Margot … Victims of hate! Never forgotten.